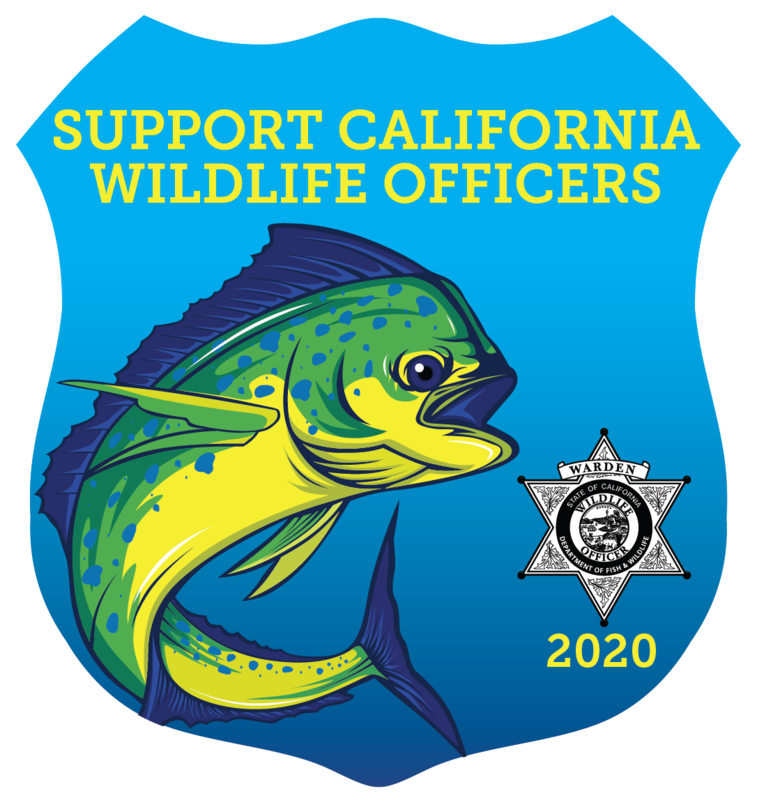 The 2019 California Warden Stamp is AVAILABLE NOW for only $5 ONLINE. 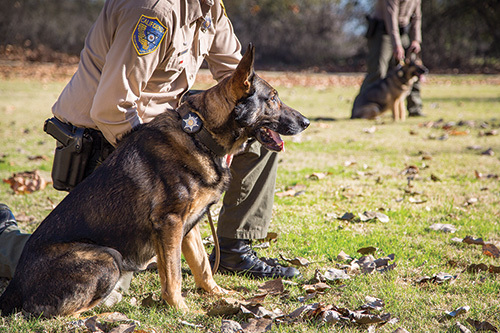 The Warden Stamp Program was initiated in 2010 to address the need for better equipment and training for the state’s wildlife officers and to provide funding for special law enforcement programs. Wildlife crimes are on the rise and becoming more complex to solve. With approximately 400 wildlife officers in the state patrolling 159,000 square miles of natural habitat, the job is extremely demanding. Officers must perform a number of roles including catching poachers, eradicating illegal marijuana grows, responding to oil spills, providing public safety, educating the public and much more. Every day is a new challenge. 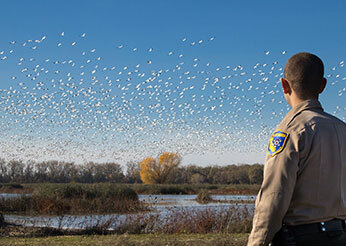 Wildlife officers protect more than 1,000 native fish and wildlife species, 6,300 native plant species and 360 threatened or endangered species. 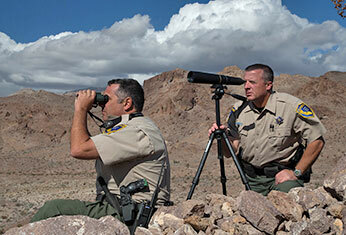 Wildlife officers patrol about 400 square miles of land per officer. 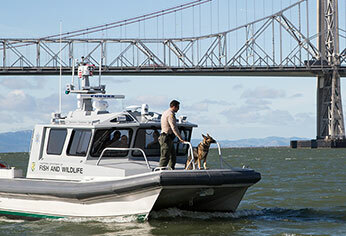 Wildlife officers keep watch over 1,100 miles of coastline, 30,000 miles of rivers and streams, 4,800 lakes and reservoirs and 80 major rivers. 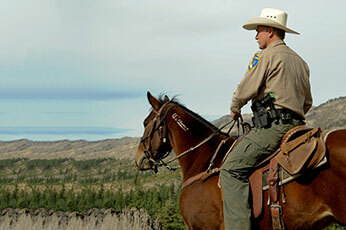 Wildlife officers patrol on foot, by plane, boat, all-terrain vehicles, snowmobiles, and even on horseback. 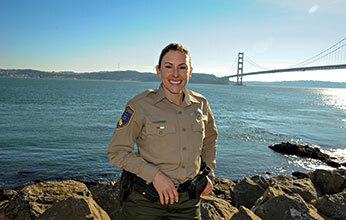 There is approximately one wildlife officer for every 100,000 Californians. By purchasing this special stamp you can show your support for the important work wildlife officers do. Purchase ONLINE today! Support warden stamp sales by displaying this Poster.